Online replenishment of Allods Online. 2. Enter the Game Account in Allods Online for automatic transfer of funds. 1. Replenishment of accounts of the region Russia! 2. Deposit replenishment occurs automatically in the course of several minutes after confirmation. Time delays are permissible. 3. The minimum amount of replenishment is 10 rubles, the maximum amount is 15,000 rubles. 4. If there is a technical failure when the code is activated, you can re-activate the unique code. Find an order in the My purchases page - https://www.oplata.info/info/?lang=en-US and click the "Get item" button. 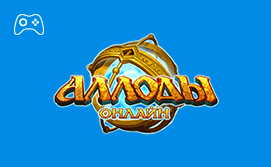 Buy Crystals in the game Allods Online can be for WebMoney, Yandex.Money, QIWI, credit card and other means.